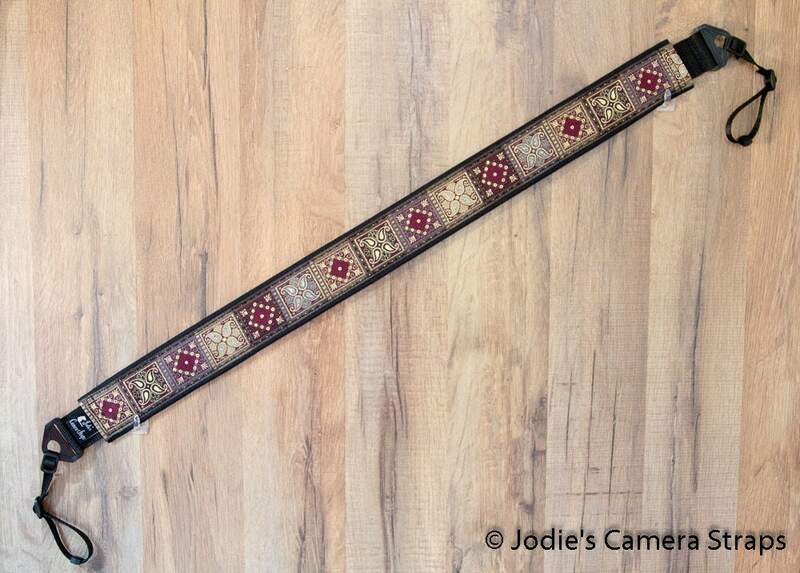 This is a gorgeous camera strap with a burgundy patchwork pattern, with touches of metallic gold. Padded area is 27 in. long - total strap 46 inches maximum length. Designed with a padded cover over a sturdy nylon webbing strap that ensures comfort and safety. The light padding is a big improvement over the stock camera straps with no padding, and is much more comfortable around your neck. The webbing core gives you strength, durability, and security. The core webbing is rated at 800 lbs. tensile strength. The 3/8 inch webbing on the ends is rated at 1000 lbs. tensile strength. No metal buckles that could potentially scratch your camera or screen. Fits any camera that uses a 3/8" strap - split rings available, just ask. 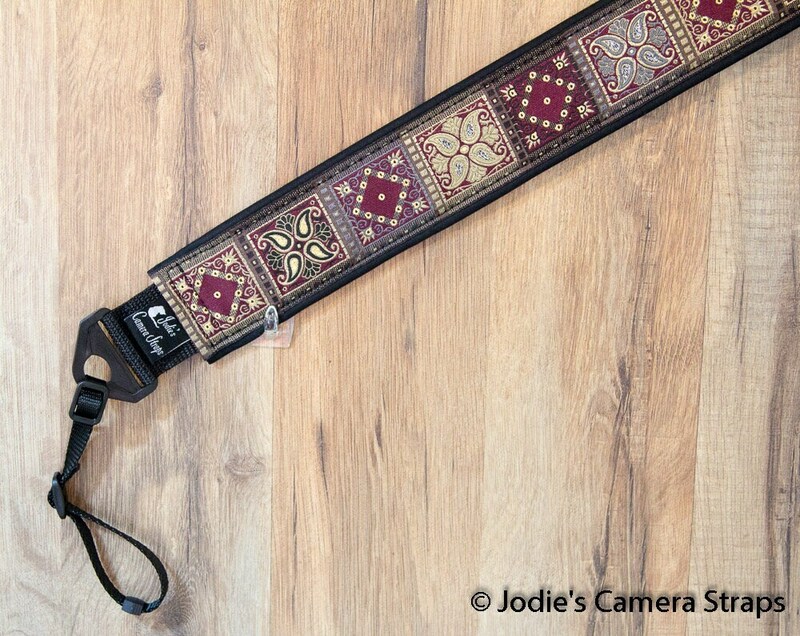 This strap will work with SLR and DSLR cameras (Canon, Nikon, Sony, Pentax, Olympus, Kodak, Fuji) and possibly some of the larger point & shoot cameras.